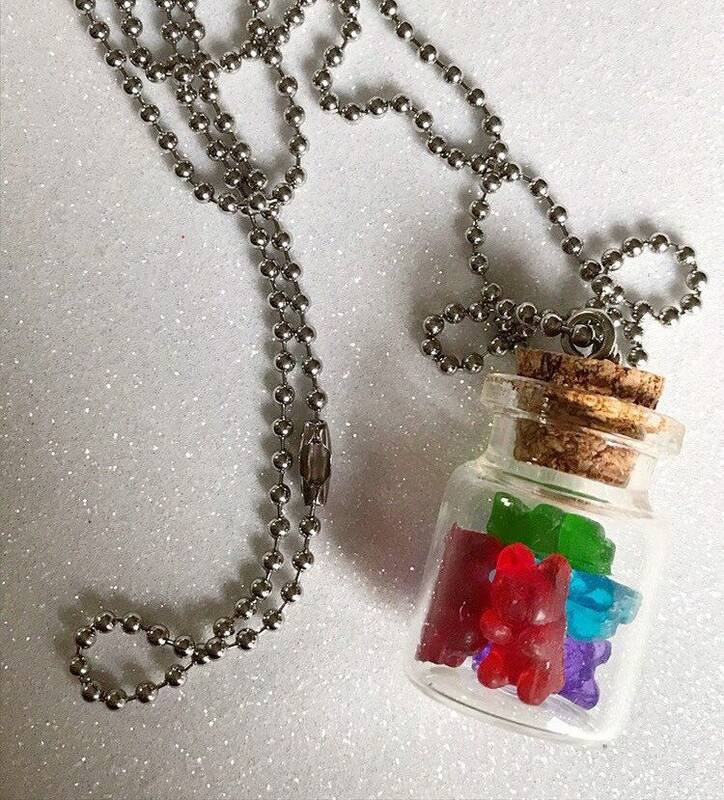 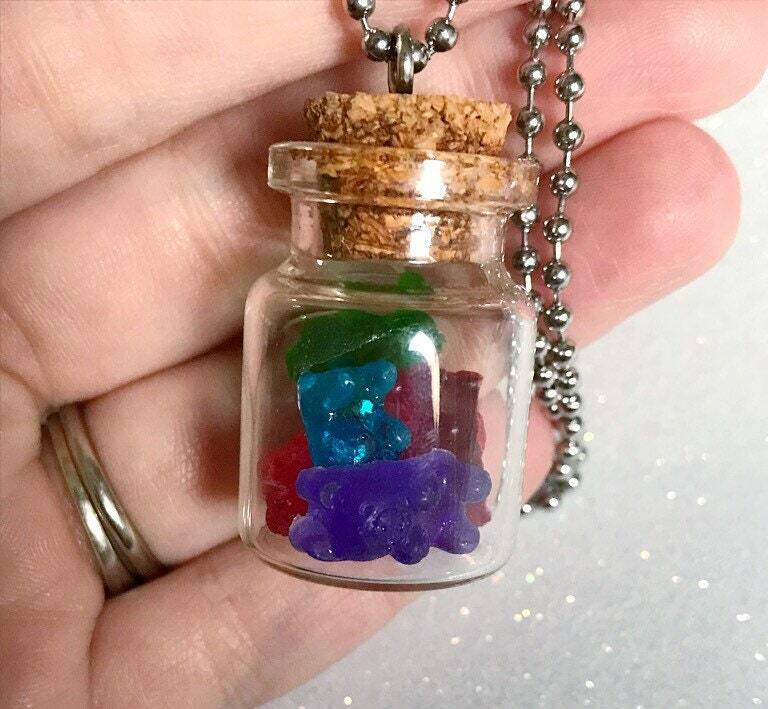 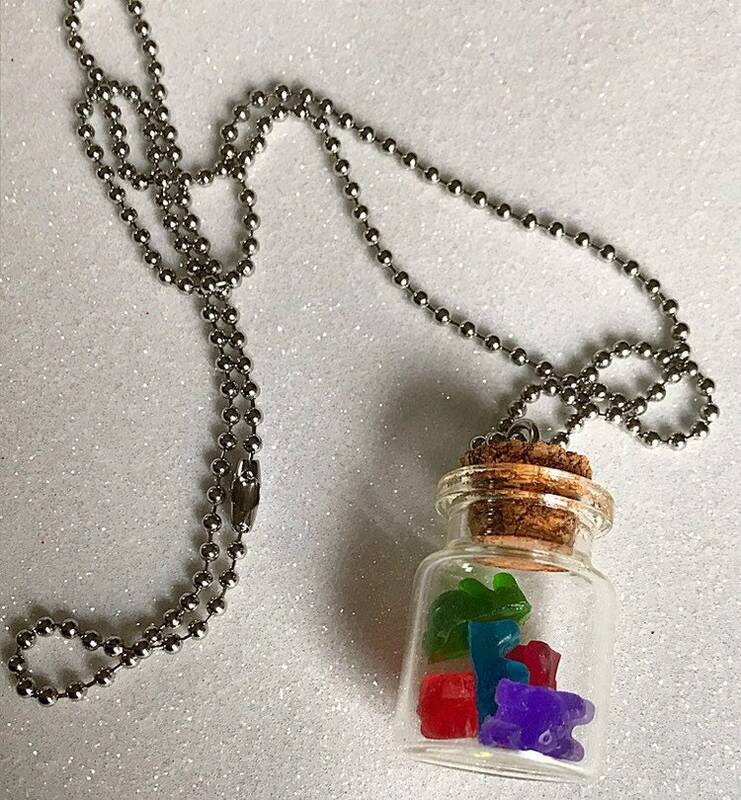 This cute glass pendant has 5 different colored mini gummy bears inside! 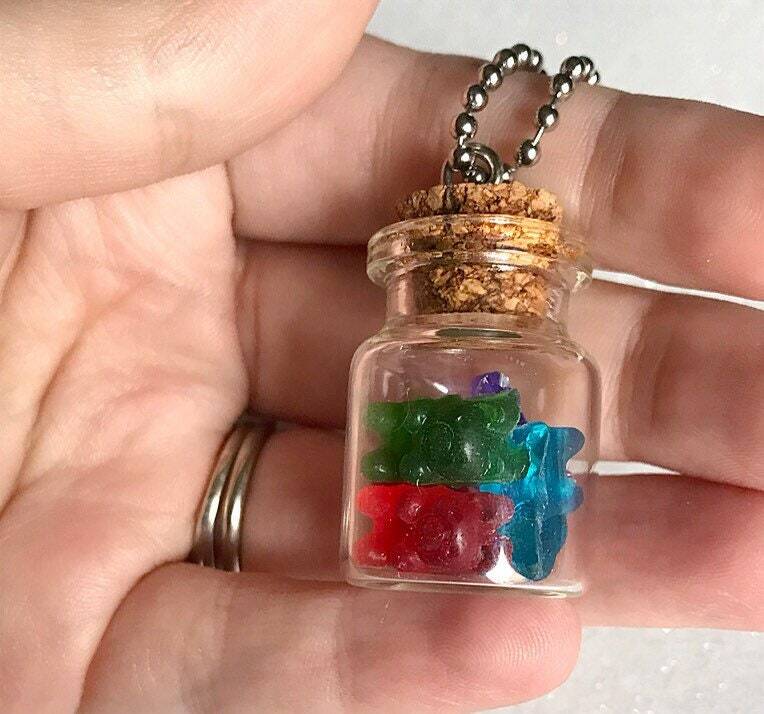 The gummy bears are made of Resin & float around freely inside the glass jar. 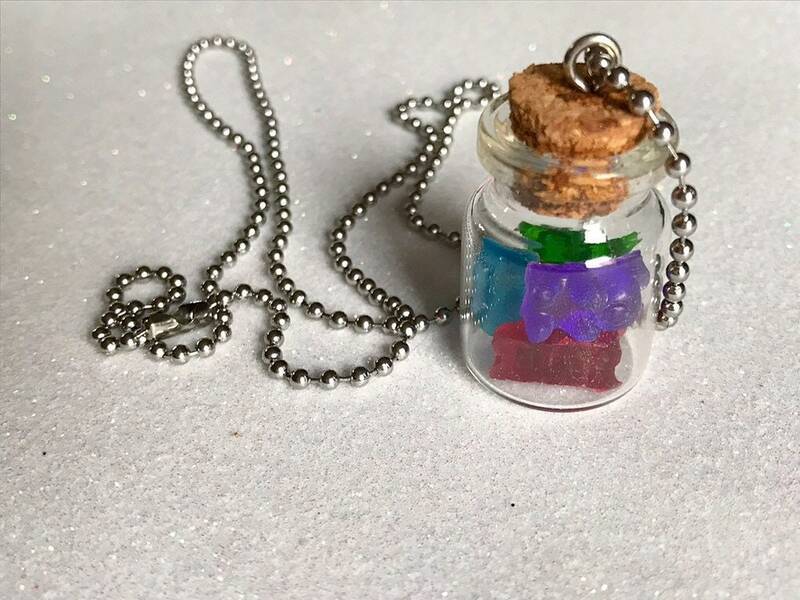 The cork top is sealed closed with resin.